Women looking for relief of symptoms during menopause have faced a difficult decision for many years when it comes to using HRT – Hormone Replacement Therapy. Studies have shown results on both sides of the issue when it comes to prevention or increased risk of serious disease. 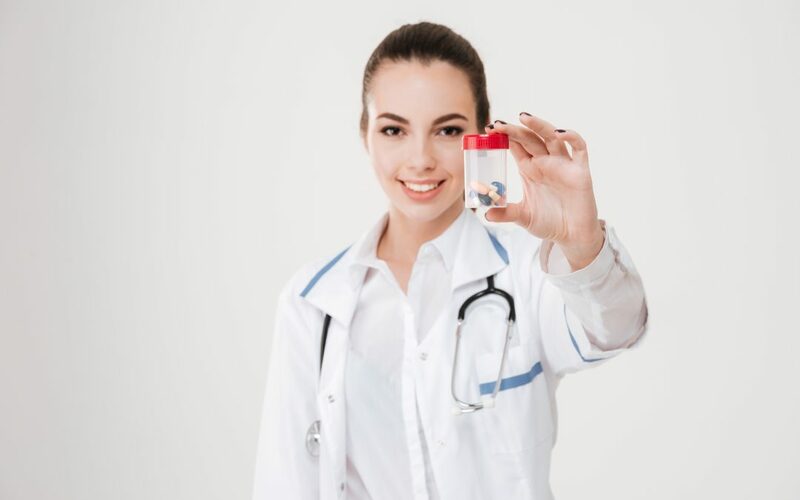 So women have been left to investigate, listen to their doctors and decide which opinion carries enough weight to influence their decision about using HRT one direction or the other. There is no question that for many women HRT provides relief from hot flashes, low energy and many other menopause related symptoms. But were they doing the right thing to use this therapy? Today we look at a recent study that will bring a sigh of relief for women in menopause or facing it soon when it comes to the safety of using HRT for 5-7 years and the effects on their life in the years after treatment. For decades now, women navigating menopause have been buffeted by shifting research findings on the risks and possible benefits of hormone-replacement therapy. Now, a landmark clinical trial that followed more than 27,000 subjects for roughly 18 years has offered some conclusive evidence that neither the hype nor the grim warnings about hormone-replacement therapy were warranted. In findings published Tuesday (Sept 12,2017) in the journal JAMA, women who were randomly assigned to take some form of hormone-replacement therapy for a median of six to seven years were no more, nor less, likely to die of any cause over the study’s duration than were women who had been assigned to receive a placebo treatment. The women who got synthetic estrogen and progesterone hormones to replace their naturally declining levels were no more (nor less) likely than those who got a placebo to die of stroke or heart failure. And they were neither more nor less likely to die of cardiovascular disease or cancer. …The results of the new trial, which represents the largest and most comprehensive study to assess HRT’s effects, are in line with a position statement on HRT issued in June of this year by the North American Menopause Society. The study looked at overall mortality and at mortality from specific causes and found that there was no greater risk for women on HRT than for women taking placebos over the 18 year term of the study. Take a look at some of the other important findings of this study. A new randomized study of 27,347 women who were tracked for 18 years, showed that women who took hormone medication were no more likely to die of any cause than women who were given a placebo. Researchers examined data from two trials, which included postmenopausal women with an average age of 63 at enrollment, and explored the effect of treatment over five to seven years, with 18 years of cumulative follow-up. They focused on the effect of hormone therapy on mortality rates. “Mortality rates are the ultimate ‘bottom line’ when assessing the net effect of a medication on serious and life-threatening health outcomes,” lead author JoAnn E. Manson, a professor at Harvard Medical School and a past president of The North American Menopause Society told HuffPost. Have you considered using HRT to help with menopause symptoms?